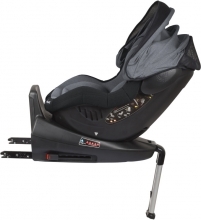 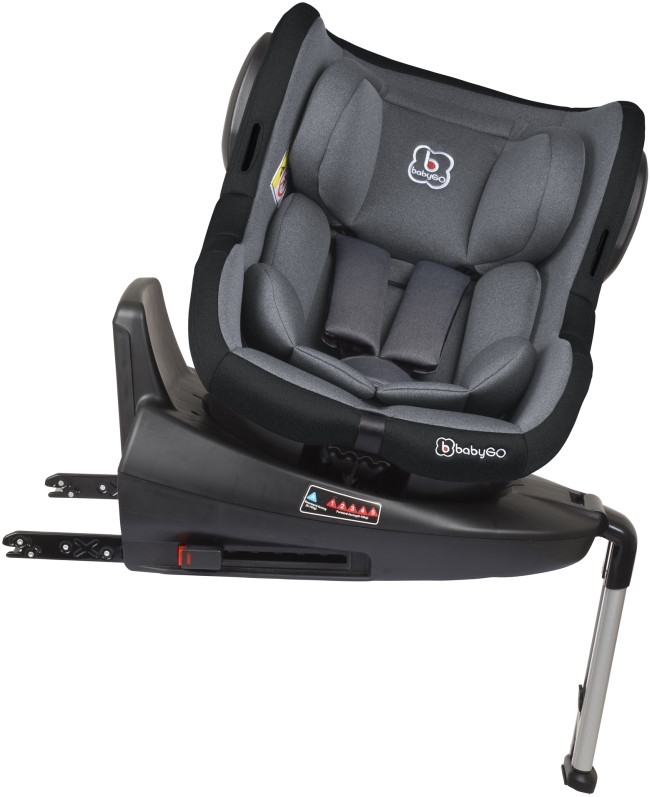 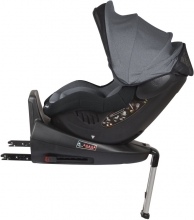 The babyGO ISO360 car seat, approved for group 0+1 (up to 18 kg), has features that ensure a pleasant ride for both driver and child: the Isofix-secured child seat can be rotated 360 degrees and can therefore be easily adjusted to face both forwards (9–18 kg) and backwards (0–13 kg). 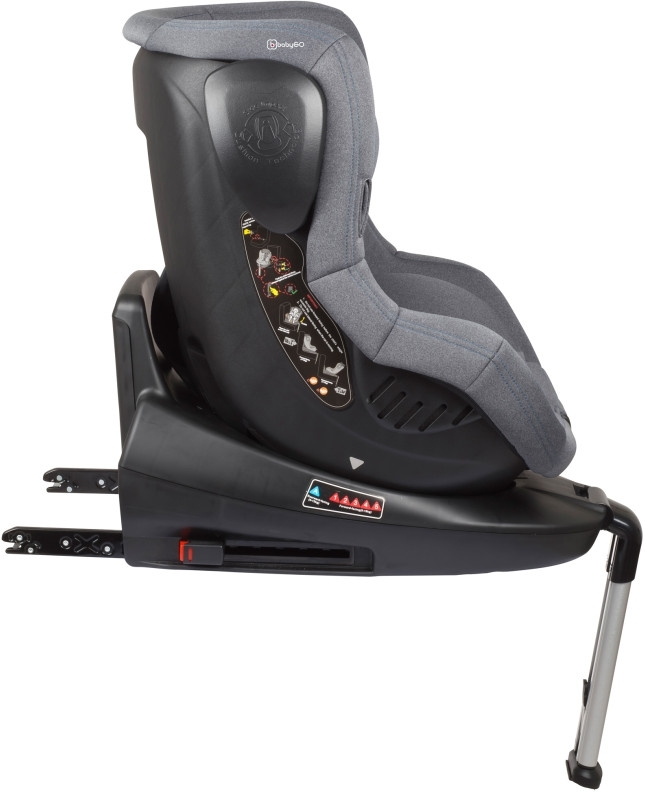 A support foot with an indicator provides a secure hold when used facing backwards. 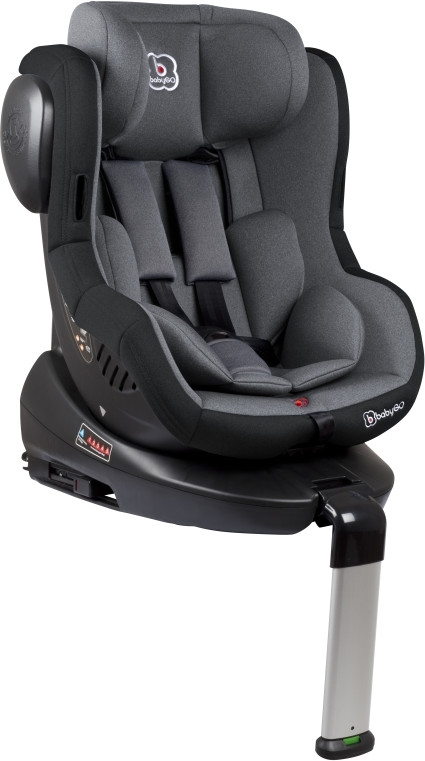 The highest safety standards are met thanks to the optimum side impact protection and the non-slip 5-point harness seatbelt, equipped with soft belt padding for maximum comfort. 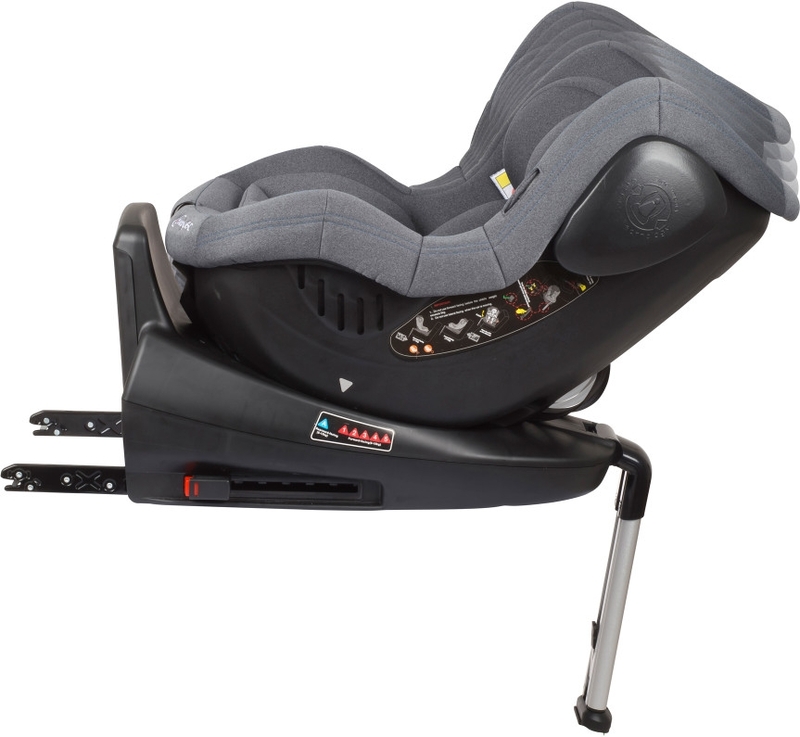 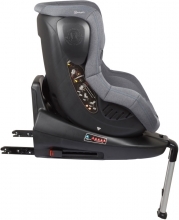 In addition to this height-adjustable safety harness, the cushioned headrest is also fully adjustable so that the seat can always be perfectly fitted to the size of your child. Its four reclining positions and the highly breathable, washable Pongee cover also ensure a comfortable posture at all times – regardless of whether your child is awake or asleep. 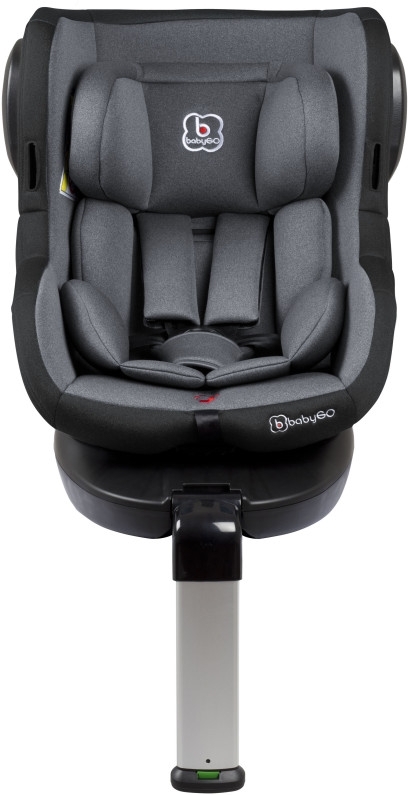 Last but not least, the babyGO ISO360, approved according to ECE safety standard R44/04, includes a newborn insert to reduce the seat size.